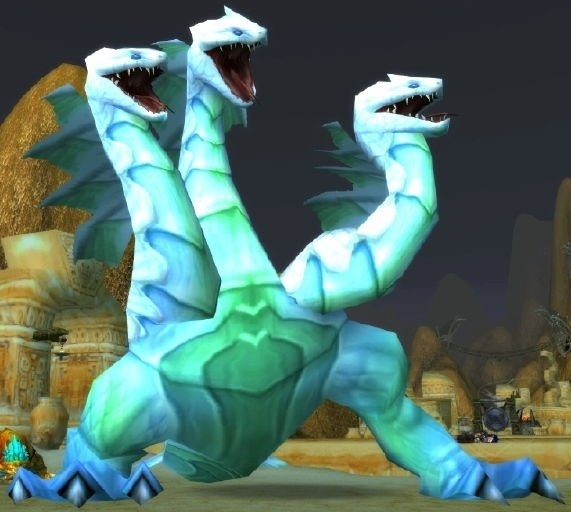 Gahz'rilla, who my calendar typos as Ghaz'rilla, was a hydra and favoured pet of the Old Gods. She slumbered beneath a sacred pool in Tanaris. The Sandfury Trolls, upon their arrival in the region, began to worship Gahz'rilla as a god, and constructed their city, Zul'Farrak, around the sacred pool where she dwelt. The trolls soon learned the dangers of waking the mighty hydra too frequently, as her hunger was insatiable when awoken. As a result, the means of awakening Gahz'rilla was a closely kept secret amongst the Sandfury, and used only when sacrificial victims were plentiful. In order to summon Gahz'rilla, one had to hit ring a gong near the sacred pool. However, in order to properly ring the gong, one need the Mallet of Zul'Farrak. Curiously, the means to create the Mallet of Zul'Farrak was in The Hinterlands, basically on the other side of the planet from Zul'Farrak. Why the Amani trolls in Lordaeron possess the means to create the sacred mallet of the Sandfury (who are themselves descendents of the Gurubashi, the hated enemy of the Amani trolls), is unknown. Obtaining the Mallet of Zul'Farrak is no longer necessary for players to summon Gahz'rilla, although players can still obtain the mallet, which is now a pretty decent mace. Despite the long travels necessary to obtain the Mallet of Zul'Farrak, adventurers still did so. At the request of the gnome, Wizzle Brassbolts, they killed Gahz'rilla and took one of her electrified scales and delivered it to him. Wizzle then used it to help power his car or something. Gahz'rilla was restored to life by the Sandfury's hydromancer, Kulratha, and rose once more as Kai'ju Gahz'rilla. With Cho'gall's promises echoing in their ears, the Sandfury set to empowering Ghaz'rilla in preparation for aiding the Twilight's Hammer in their attacks on Stormwind and Thunderbluff. Before she could be unleashed on them, however, Alliance and Horde adventurers, led by King Varian Wrynn and Cairne Bloodhoof, led a counter-attack on Zul'Furrak, killing Gahz'rilla and Hydromancer Kulratha. With Gahz'rilla's defeat, Cho'gall saw no further use for the Sandfury trolls, and withdrew the support of the Twilight's Hammer, leaving Zul'Farrak to its fate. Lord Vyletongue was a satyr and leader of the Putridus clan. He led his people deep into the caverns of Maraudon, where he believed that the dank corruption permeating the place would make a fine home for his people. Once he arrived, Vyletongue and the Putridus satyrs set about encouraging the spread of the corruption throughout the caverns. He was also responsible for the creation of the corrupted elementals Noxxion and Razorlash. The dryad, Cavindra, seeking to free her brother, Celebras, from the corruption he had fallen victim to, tasked adventurers with retrieving the diamond that had once adorned Celebras' sceptre from Lord Vyletongue. The adventurers did so, killing the satyr and relieving him of his treasure. "What are you doing? These specimens are very delicate!" High Botanist Freywinn was a blood elf druid. His mere existence had caused endless speculation about whether or not playable blood elves will ever be able to be druids. An expert botanist, Freywinn quickly made a home for himself on board the Botanica. He developed a keen interest in the plant life of Outland, and even wrote a botany guide on the subject. He was killed by adventurers seeking to liberate the Botanica from the blood elves. His field guide was stolen by aspiring alchemists looking to specialize in brewing potions. Thalraxal wrote: by aspiring alchemists looking to specialize in brewing potions. as opposed to the alchemists who specialize in not brewing potions? We call those grow op jockeys. Yep! Alchemists could choose to specialize in making potions, making elixirs, or transmuting materials. "Ikiss cut you, pretty ~ ak-a-ak ~ slice you, yes!" Talon King Ikiss was the leader of the Sethekk, an arakkoa cult that served an unknown Old God, and endeavoured to summon it to the ruins of Draenor. Prior to his descent into madness, Ikiss had been a well respected sage amongst the arakkoa. He had a particularly keen interest in the ancient king of the arakkoa, the Talon King Terokk. This interest in Terokk led Ikiss to uncovering some particularly forbidden information regarding the fall of the great king, which led to Ikiss' own banishment. Driven mad by his transformation into a flightless outcast arakkoa, Ikiss came to believe that he was, in fact, the reincarnation of Terokk, and claimed the title of Talon King for himself. He came to worship the fallen arakkoa god, Seethe, and led his cult, the Sethekk. Under his leadership, they successfully summoned and bound the spirit of the raven god, Anzu. In time, however, the Sethekk lost their faith in their god, Seethe, and along with the bulk of the arakkoa, came to worship an unknown Old God, who promised to help them against the ever increasing aggression of the Orcish Horde. When Ikiss witnessed the arrival of Murmur and the destruction of Auchindoun, he believed it was the arrival of the Old God the Sethekk had communed with it. As such, he led his people from the arakkoa city of Skettis to the ruins of Auchindoun, where they claimed a wing of the ruined necropolis for themselves. Settling in, Ikiss waited for a sign from his god, not realizing that the Old God's arrival would actually be much further to the east, in Shadowmoon Valley. As he waited in vain, Ikiss' madness grew. Eventually, adventurers stormed his lair, and killed him and his followers. In the alternate past, Talon King Ikiss was vastly less successful than his present counterpart. While he too claimed the title of Talon King and came to command the Sethekk, his plan to summon Anzu, and resurrect the dead god, Seethe, by corrupting Anzu, failed. With the help of some adventurers, Anzu was able to interrupt the ritual, saving his own spirit, kill Ikiss, and beat Seethe back into submission. "Why do you persist? Surely you can see the futility of it all." Temporus was a member of the Infinite Dragonflight. Although still young by the measurement of dragons who live beyond time, he was a skilled and valued member of the flight, and was particularly good at identifying high value targets: entities who's sudden demise would ensure the timeline moved towards the one the Infinite Dragonflight sought to make manifest. Temporus took part in the attempted assassination of Medivh. Knowing well that attacking the Guardian would be dangerous, the Infinite Dragonflight chose to attack him while he and his power was focused on creating the Dark Portal. As tunnelling through the fabric of reality required his full attention, Medivh would be unable to defend himself when the time-altering dragons arrived. The Infinite Dragonflight had failed, however, to take the interference of the Bronze Dragonflight via time travelling adventurers into account. Temporus was killed, and Medivh lived on to open the Dark Portal, invite the demonically possessed orcs to Azeroth, and ensure the death of millions. "Ogre hooch the best of all hooch, and Gordok hooch best of all ogre hooch!" Stomper Kreeg was a drunken ogre and brewmaster of the Gordok ogres in Dire Maul. Following the death of King Gordok he rewards the Kings Gordok with free booze. Zereketh the Unbound was an unbound voidwraith. Please note the lack of summoning bracers on his arms. As such, he was free to do whatever he pleased. This seems to have mostly involved killing the living consuming their life energies. For this, the naaru captured and kept him prisoner on board the Arcatraz. Following the blood elves' takeover of Tempest Keep, Zereketh managed to escape captivity once Harbinger Skyriss took control of Warden Mellichar's mind and convinced him it would be a good idea to release some of the prisoners. With his freedom restored, Zereketh proceeded to loiter around Stasis Block: Trion, content to spend his time killing the living and consuming their life energies. Zereketh was killed by adventurers and presumably banished back to the void from whence he came. "Witness the magnificence of my power, and despair!" Lord Valthalak was a drakonid warlock and the former general of Nefarian. He was killed by adventurers. Having foreseen that possibility, Valthalak stored a portion of his soul inside a magical amulet in order to revive himself upon death. He didn't foresee adventurers breaking said amulet and splitting it up as loot. 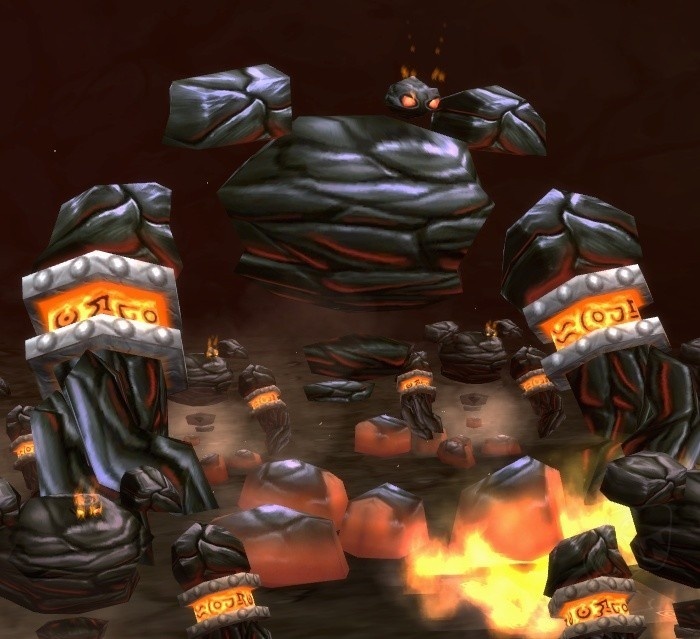 While he was alive, he commanded Nefarian's forces against the Dark Iron dwarves and the minions of Ragnaros for control of Blackrock Mountain. Upon his death, he was succeeded by the dragonspawn warrior, General Drakkisath. After his death, Drakkisath gave his predecessor's old room to The Beast. Despite his magnificent power, Lord Valthalak was killed by adventurers. The Veiled Blades had been hired by the goblin smuggler, Gremnik Rizzlesprang, to steal Valthalak's spellbook. The Veiled Blades accepted the quest, and managed to sneak into Blackrock Spire and assassinate the drakonid warlock. After claiming his spellbook, the party began squabbling amongst each other over the rest of the loot, especially the incredibly powerful magical amulet that Valthalak was wearing. In the end, they decided the best course of action was the break the amulet, and share the pieces of it. Kormok, who had first noticed the amulet, claimed a piece of it, with the other shards going to Theldren, Mor Grayhoof, Isalien, and Jarien and Sothos. That, of course, was just the beginning of the Veiled Blades' problems. Soon afterward, the spirit of Lord Valthalak appeared, and summoned a horde of spectral assassins. Having not yet recovered from their boss fight, and all of Blackrock Spire being on high alert thanks to their very loud bickering, they had no choice but to flee. On their way out, Mor Grayhoof fell down a hole, falling from Upper Blackrock Spire to Lower Blackrock Spire. Presumed dead, the party abandoned him to his fate, and escaped Blackrock Spire. Finally having a chance to recover, and getting paid for the theft of Lord Valthalak's spellbook, the Veiled Blades decided that it was time to part ways. Kormok left to travel to Scholomance, in order to learn more about the necromantic arts. Theldren travelled to Shadowforge City where he started his own gladiator team. Isalien travelled to Dire Maul to learn more about her night elf heritage. Jarien and Sothos left to join the Scarlet Crusade. It was soon evident, however, that Lord Valthalak's spectral assassins would not stop hunting them until they were all dead. Gremnik, the goblin who had hired them, was soon found dead at the hands of the spectral assassins. As was Kormok. Fearing for their lives, Deliana and Mokvar fled for the respective safety well defended capital cities. Mokvar to Orgimmar, and Deliana to Ironforge. Anthion Harmon, the former leader of the Veiled Blades, and Bodley, a gnome wizard, both agreed that they needed to find a way to appease Lord Valthalak's spirit and get him to stop sending spectral assassins after them. To that end, Anthion attempted to reason with Theldren, and tried to convince him to give up his piece of the amulet. Theldren refused, and beat Anthion up in return for his insolence. Shortly after, Anthion heard news that his wife, Ysida, was being held prisoner by Baron Rivendare. Desperate to save her, he abandoned his quest and rushed to Stratholme, where he was soon killed. 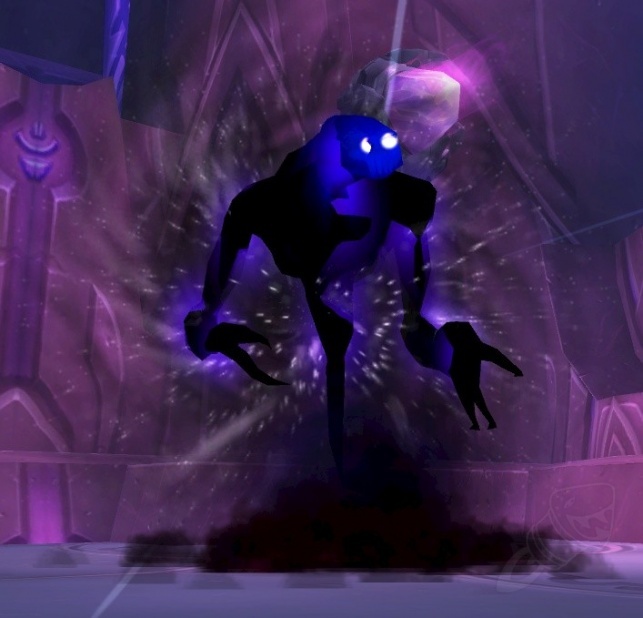 Bodley had attempted to return to Blackrock Spire, but was killed along the way by the spectral assassins. Deliana and Mokvar, both desperate to not get murdered by spectral assassins, were able to recruit adventurers of the Alliance and Horde to investigate the issue for them. These adventurers were able to find and commune with the spirits of Bodley and Anthion in order to learn what had transpired and how they had hoped to stop it. Following Bodley's directions, the adventurers were able to summon the spirits of Kormok, Isalien, Mor Grayhoof, and Jarien and Sothos, put them to rest and claim their amulet fragments. They also beat up Theldren and took his piece too. After reuniting the amulet, they were able to summon the restless spirit of Lord Valthalak. Still enraged, the adventurers fought him and his spectral assassins. In the end, however, the adventurers were victorious. With his soul finally reunited, a slightly calmer spirit of Lord Valthalak thanked the adventurers for their efforts, and was willing to call off his spectral assassins and leave the surviving members of the Veiled Blades in peace, for a time. Bodley continues to haunt Blackrock Mountain as a ghost. Theldren is still leading his gladiator team in the Ring of Law in Shadowforge City. Deliana is now waiting for an audience with the Council of Three Hammers. Mokvar was placed in charge of Orgrimmar's treasury by Warchief Garrosh Hellscream. He attempted to forcibly collect funds from the banks of Orgrimmar while treasurer. He was killed by adventurers during the Siege of Orgrimmar. With Mokvar dead, Deliana and Theldren are now the only surviving members of the Veiled Blades, and although they were granted a reprieve, it seems as though it's only a matter of time until the curse of Lord Valthalak finally claims them. Will you lay the candle down and call the Headless Horseman from his doomed rest? Wait. Seriously. The Headless Horseman has some fantastic lines, probably the best in WoW, and you choose a quote from a pumpkin shrine of all things? Uhg. This will not stand. Welp. If I'm going to do this justice, I'm going to have to write the rest of this entry in rhyme because I hate myself. now Hollow's End he fills with fright. To the Silver Hand he was true. But from the north, a new threat grew. and countless dead, who knew no rest. The Silver Hand, it was broke. Stratholme burned, skies filled with smoke. as Arthas stained the streets with red. Lordaeron fell, the king was dead. Across the seas, countless fled. hoping to be reunited one day. 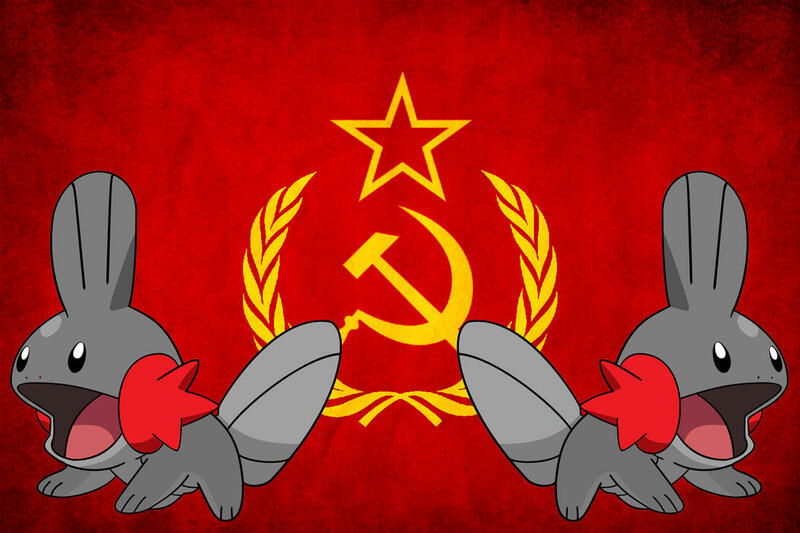 A new dawn, the Scarlet Crusade! Follow the Ashbringer, both man and blade. Light's new order, to turn the tide! and fallen, joined the enemy. Mograine's own son he did the deed! So said Fairbanks, to all who heed. Amongst the red, Thomas did reside. Sir Thomas learned that well that day. Innocents dead, by his own hand. A foul deed, which deserved reprimand. It was in madness, he found solace. All was evil, that he would demolish! All were plagued, only he was pure. This, he was certain. Nothing truer. For madness, scarlet clerics knew no cure. To the headsman's block, they did secure. But this horseman would not rest. For now he had a most pressing quest. Setting forth each night, riding through the skies. “Prepare yourselves, the bells have tolled! Shelter your weak, your young and your old! Each of you shall pay the final sum. I'm away this week and forgot to make notes about what bosses were on for this week. I'll try and make guesses about what might have been here this week, and then update them when I'm home on Friday. Whoops! I think today was either a troll, or some sort of big lizard. The blood elves' experimentation in the Botanica were successful. Too successful. Laj was a plant sample taken onboard the Botanica by the naaru. When the blood elves claimed the vessel, they subjected it to endless experiments until it became a much more deadly plant. Laj is known to cause allergic reactions in some subjects. It was destroyed by adventurers when they stormed the Botanica. Last edited by Thalraxal on Fri Nov 06, 2015 8:24 pm, edited 1 time in total. Ogres? I think today was an ogre. EDIT: Nope! It was a lich. Maybe Rage was an ogre mage in life? The Legion's final conquest has begun! Rage Winterchill was a lich in the service of the Burning Legion. He helped to command Archimonde's undead forces during the battle of Mount Hyjal. Although he was defeated, as a lich and loyal servant of the Burning Legion, it is likely that he survived the battle, although he has not been seen or heard from since. 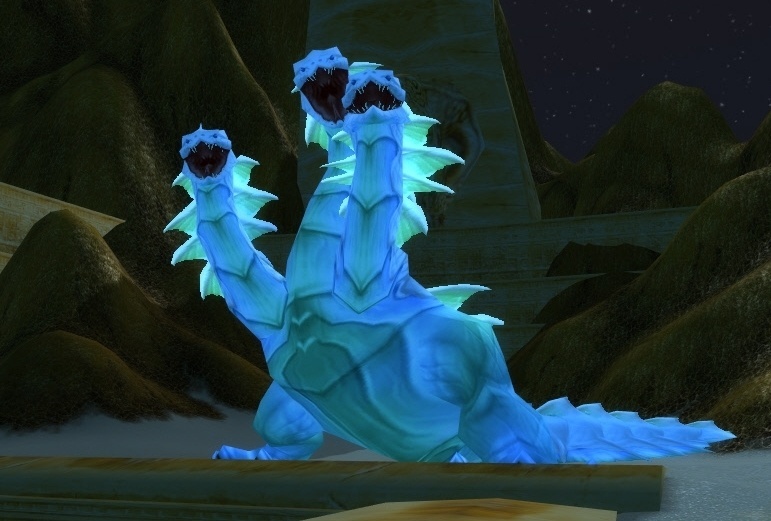 Adventurers encountered Rage Winterchill when they travelled back in time to ensure that the outcome of the Battle of Mount Hyjal remained unaltered. At the request of Akama, they took advantage of this reenactment of the Battle of Mount Hyjal to steal Rage Winterchil's phylactery, which Akama used to contain his shade, which Illidan had extracted from him to ensure his loyalty. It seems likely that Rage Winterchill's soul was evicted before it was repurposed for that task. Last edited by Thalraxal on Fri Nov 06, 2015 8:20 pm, edited 1 time in total. I think it was a blue one. I think today was another death knight? I'm sure there was another Scourge minion this week. EDIT: Scourge minion was yesterday! Off by one. Also: Considering Rage's loyalties, it's likely he was a Second War-era Death Knight before his transformation into a lich. That's my theory, and I'm sticking to it. I'm giving myself a point for this one, even though I was wrong. Like Baron Geddon, Garr was entrusted to protect half of the talisman that contains the remaining essence of Thunderaan, Prince of Air. Garr was one of Ragnaros' lieutenants, commanding the Fire Lord's forces alongside Baron Geddon for centuries. Despite having battled alongside each other for so long, including aiding their master in the betrayal and destruction of Prince Thunderaan, and accompanying their master to Azeroth, the two seem to have had something of a falling out with each other. Both suspect the other of plotting to steal their half of the Bindings of the Windseeker, a powerful talisman which contains the remnants of Prince Thunderaan. It seems likely, however, that their on going feud has been stoked by Shazzrah, who does, in fact, seek to turn the two elementals against each other and claim the reunited Bindings of the Windseeker for himself. Garr is accompanied by his Firesworn at all times. They are like his babies. Garr, and his Firesworn, were defeated by adventurers when they raided the Molten Core. They were banished back to the Firelands as a result. 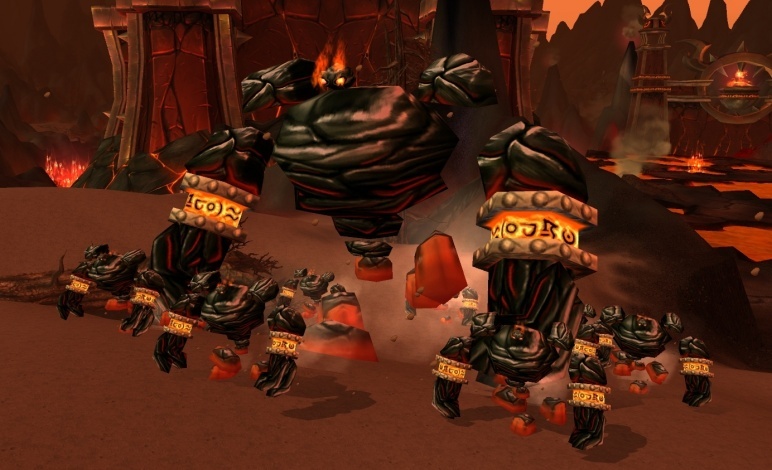 Garr returned to Azeroth during the Cataclysm, where he helped defend Sulfuron Spire during Ragnaros' assault on Mount Hyjal. Garr was defeated, and banished back to the Firelands once again. He is likely still alive, and is likely a contender to succeed Ragnaros as the next Fire Lord. Last edited by Thalraxal on Fri Nov 06, 2015 8:24 pm, edited 2 times in total.